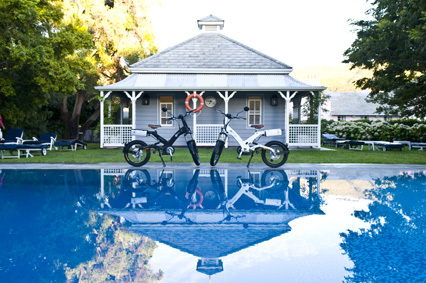 Cycology, a local importer of bespoke bicycles and movement that aims to inspire a “life on two wheels”, now provides guests and patrons at the Mount Nelson Hotel, Cape Town, the opportunity to discover the area on the best mode of transportation for the job – an ebike. The choice of A2B’s Metro is a perfect fit, with its ability to navigate hilly terrain not just in comfort but also in style. The Metro will also be equipped with a luggage carrier enabling people to stock up with exciting offerings from the area en route. Resident Cycologyst Mo Reid will guide each tour with a focus on style over speed. Cycology will be offering a choice of scenic tours around the beautiful Cape region, taking in the scenic Atlantic seaboard, local shopping opportunities, cultural treasures as well as providing independent rental options.